Surender is a seasoned technocrat and successful entrepreneur with over 15 years of global experience in Information Technology. 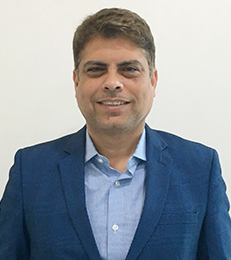 A graduate of Punjab Technical University in 1999, Surender founded his very first venture in 2001, Sugar Udyog, which was one of the most popular portals in the sugar industry. His futuristic & innovative solutions were widely appreciated in the sugar industry. In 2003 he co-founded a software development company where he fused his technical skills with a new love of leadership. He was heading a small but dynamic team with hands-on exposure to many different technologies, from Java to Dot Net, Oracle to MySQL. Clients included national and international corporates as well as governments. He played a very key role in the development of the e-governance portal for Chandigarh (http://sampark.chd.nic.in), which won many awards and recognition in 2004-2005. The same team later evolved and joined hands with Henning to form VT Netzwelt Pvt Ltd, which over the last 8 years, has emerged as a very strong and fast-growing organization, delivering end-to-end Offshore IT services and solutions for big and small companies spread across the globe in the field of Mobile & Web development. Surender is responsible for running the day-to-day affairs of the company along with heading the R&D section of the company. Surender is married and father of two children. Henning is a serial entrepreneur and tech-enthusiast living in Berlin. 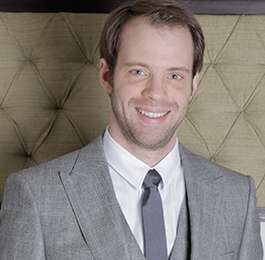 He studied Law at King’s College London, German Law and Economics at Humboldt University Berlin and completed an MBA and MSc postgraduate degree at ESCP Europe. At the age of 16, he won HSBC’s national Young Enterprise Best Website award and went on to found the innovative service platform Mr-Skill Ltd during his law studies where he was leading a team of 20 staff members. Mr-Skill became one of the top 3 online contenders in the UK home improvement service market in 2008/2009. Drawing from his experience of Mr-Skill and working closely with Surender he embraced the opportunities offered by delivering high-quality products through off-shore development and co-founded VT Netzwelt Pvt Ltd.
Henning is a Magento Certified Solution Specialist and a great fan of process-driven agile development methodologies. His passion is to devise and enhance complex and large-scale software solutions. Henning is married and father of two children. He is also co-founder of other startups and an active angel investor. 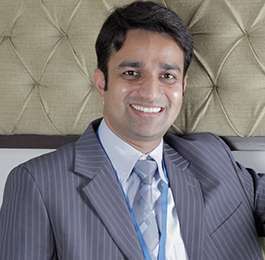 Nitin, in his 12-years long career, has helped various reputed national and international organizations in developing business strategies, incubating new business models and streamlining processes at various capacities. He holds a Master degree in Information Technology and a Bachelor degree in Commerce. Combining his knowledge and experience, he has designed, developed and delivered, various industry demanding solutions for web and mobile users, whereas the E-Learning and E-Commerce domain are of his particular interest. He is very passionate and focused on his commitments towards meeting customer and market demands, which he achieves through collaborative efforts, innovation, and creativity of the team at VT Netzwelt. Nitin is a renowned advisor in technology forums and has been actively contributing his solutions and approaches to open source community. He is a valued presenter at various annual online /offline conferences and was very recently awarded the “Particularly helpful Moodler 2016” badge for his untiring efforts. Nitin is married and father of two children. Ravi is an out of the box thinker, mentor, advisor and consultant to businesses, helping them in choosing a right technology partner. 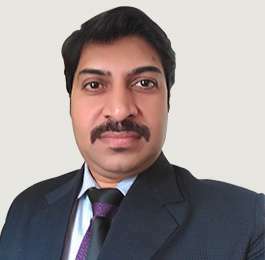 With 20 years of his work experience in global IT business, he possesses a talent for putting in place unique strategies & measures for streamlining operations, invigorating businesses and heightening productivity. 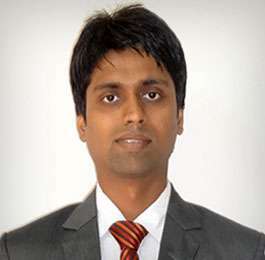 He has done MCA and an advanced program in Strategic Management from IIM, Kolkata. He has handled and managed software outsourcing in territories i.e. USA, Europe, Australia and Nordic countries and has displayed entrepreneurial skills by establishing new operations for almost all organizations across the career span. He is instrumental in managing business functions & playing a key role in strategizing new market entry, market expansion & development. A keen strategist with expertise in managing entire operations with key focus on top & bottom line profitability by ensuring optimal utilization of resources. He successfully managed and mentored cross-functional teams across assignments; acknowledged for recruiting and developing leaders with an equal desire to win large size deals in eCommerce, mobile apps and enterprise mobility projects. Ravi is married and father of two children. Vipin owns the HR agenda for Business and working with the operating teams to deliver on the key deliverables. Successfully creating an environment in the organization where great performers are made known and their contributions duly recognized and valued. Rendering strategic advice towards the development of the Human Resources strategy in line with the overall business objectives, managing the effective achievement the same through staff development initiatives. Building and maintaining cordial relations with respective business units to ensure that their requirements with regards to human resources and staff are acted upon in a timely manner in addition to ensuring the continuous improvement. Providing HR leadership on all elements of talent acquisition, leadership development, and total rewards to enable achieving business and operational goals. Continually assessing the competitiveness and effectiveness of all HR programs and practices against the relevant comparable companies, industries and markets. Vipin is married and father of two children. 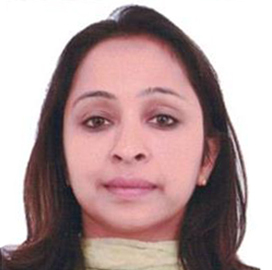 Pooja is a Creative Content Writer, Ideator & Social Media Strategist with over 10 years of industry experience. She is responsible for the company’s digital marketing, social media management, and branding. Apart from managing the online assets, she is also involved in general office administration and handling the B2B operations of the organization. Pooja holds a Post Graduate degree in English from Kurukshetra University, along with Bachelors in Science and Education. Pooja is married and mother of two daughters.